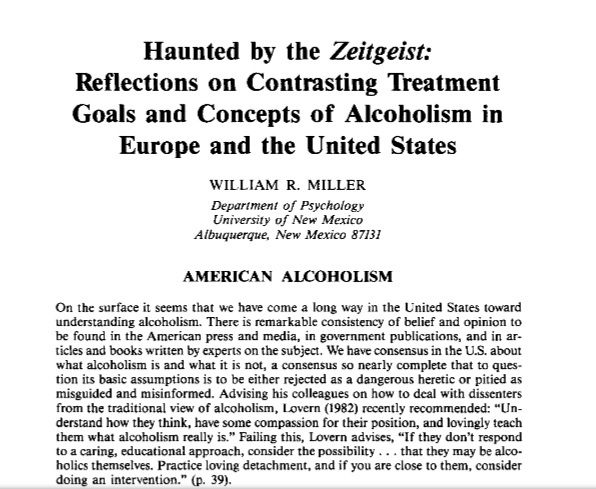 In his paper Haunted by the Zeitgeist Miller goes on to question those basic assumptions. And yet I don’t think anyone would label Bill Miller – of MI fame – a dangerous heretic, misguided or misinformed. Haunted by the Zeitgeist is a great piece for ACT team teaching! Though published in 1986 it remains just as relevant today. Alcoholism is a disease. It is recognizable as a unitary syndrome with certain symptoms and a predictable progression. Alcoholism is a disease. Although the etiology is not completely known at present, it probably has a physical cause as well as psychological and spiritual elements. The only possible hope for an alcoholic is total and permanent abstinence from alcohol. The ideas Miller presents are still very true and this article provides food for thought and discussion. It’s worth taking small pieces of it and using it for a team education session. Get someone on the team to distil it down and present some of the ideas – perfect role for the team psychiatrist! (Don’t make everyone read through the whole paper.) After such a session your team members should have more questions, not less. And isn’t that the goal?- to have better questions, not simplistic answers. Sorry I can’t post a pdf of the whole article- I did ask the NY Academy of Sciences and was politely told that it is accessible online for a fee (as little as $6 – click here to view). Or you can still buy a used copy of this publication (click to view via Amazon) for about the cost of a venti pumpkin spice frappuccino.at Starbucks. In my opinion ACT teams don’t need substance use screening tools like the CAGE, the AUDIT or the DAST as much as they need tracking tools. Most individuals have had lots of contact with services before getting to ACT. And screening tools are a pretty ‘blunt instrument’, so to speak. There are lengthy survey tools that have been used, including those detailed in Allness and Knoedler’s PACT manual. My team came up with a modification of those. 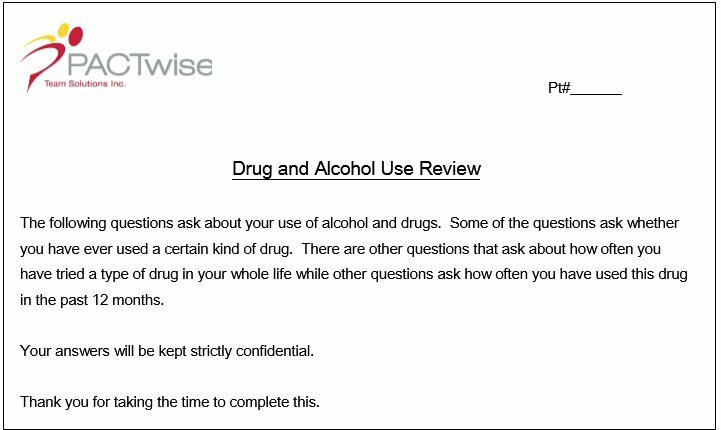 Clinicians print off the Drug&AlcoholUseTemplate (click to view) – and either go through it with the client or, simply have the client fill it out. The format is straight-forward, if the answer to the first question, for example: Have you ever used an amphetamine or crystal meth, what some people call an ‘upper’ or ‘speed’ on your own, either without a doctor’s prescription or in greater amounts or more often than prescribed? is a No, you just flip to the next page. The results are put in the PACTwise database (yes, a flagrant product placement/plug) and out comes a one page Drug and Alcohol Review (click to view). This single page report provides an overview – age of first use for each drug, last use, use in the past 12 months – that gives clinicians an understanding of the client’s pattern of use over time. This is certainly not the only way to track this kind of info. What do you use? How is it? What do you think would be the ideal tool? Two suggestions for this Thanksgiving week. If you’re following this blog that’s great. Next step – follow Patricia Deegan’s blog. Her blogpost this week raises very interesting questions around privacy and professionals. Check it out. My other recommendation is to watch Ethan Nadelmann’s thought provoking TED talk. In ACT we’re working with individuals wrestling with substance use every day. We should also think about the big picture issues which are, not surprisingly, complex. To our American friends and followers have a Happy Thanksgiving! I’ve often said that at its core ACT is about three things – relationship, relationship, relationship. 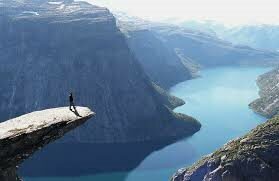 Medication, recovery planning, psychosocial rehab all have to occur within the context of relationship. In terms of the practical skills ACT clinicians need to do their work, I recommend three things – MI, MI, MI (you saw that coming now, didn’t you?) The skills of Motivational Interviewing – active listening, open-ended versus closed-ended questions, acknowledging ambivalence, using reflection, enhancing self-efficacy etc… – are absolute necessities for the day to day task of helping people effect change in their lives. MI is not a panacea. Even if you become most skilled at it you’ll still be working with clients who will continue to have profound struggles with addictions, with symptoms and with relationships. It’s like what Churchill said : “democracy is the worst form of government, except for all the others”. MI is better than bombarding with questions and much better than confrontations and ‘interventions’. Yes, there are times when I’ve laid it out in black and white to a patient – “Joe, you’re either agreeing to go into hospital or you’re not agreeing on going into hospital, but you ARE going into hospital.” But that kind of conversation should never be my ‘go to’ tool for anything. 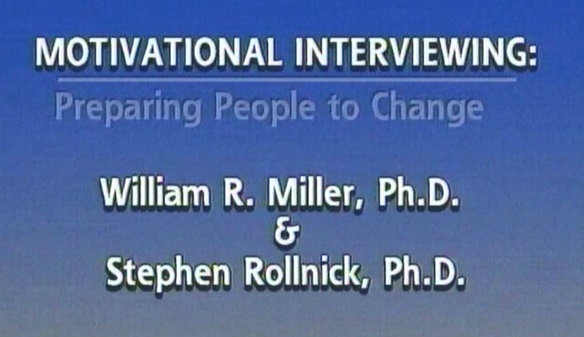 Miller and Rollnick’s Professional Training DVDs are an invaluable tool. Better than their book – is it ever as good reading an exchange between client and clinician versus watching and hearing? 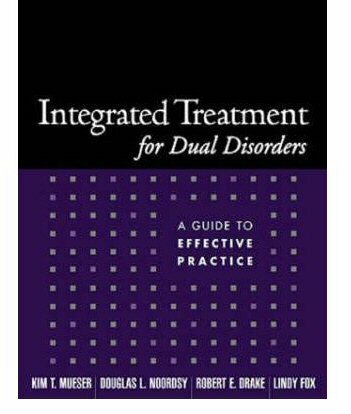 – these discs should be made available to all ACT clinicians. 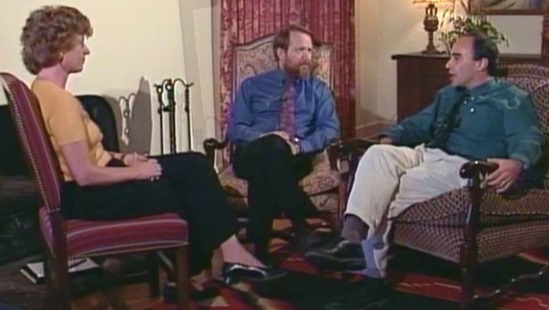 On the DVD Theresa Moyers’ interview with ‘Jim’, demonstrating how to Roll with Resistance is masterful and it alone is worth the price of admission. Yes, the client may be an actor but Moyers is going in cold, no script, and her technical skills are so wonderful to watch. I’ve seen it at least a dozen times and still learn something new each time. Try not to think of learning MI as an event; it’s a process, a long-term one that has to be returned to again and again. I’ll be back with more on MI. PS: I was saddened to get the recent email that ACTA will be shutting down. Thank you Cheri Sixbey and Alexandra Sixbey-Spring for keeping it going as long as you did. To paraphrase Joni Mitchell, sometimes you don’t know what you’ve got till it’s gone.